The iPhone from Apple is an important device for many individuals. It contains all the sensitive data, which one wishes to safeguard from intruders and virus attacks. There is no reliable way than generating a backup of the device at regular intervals. 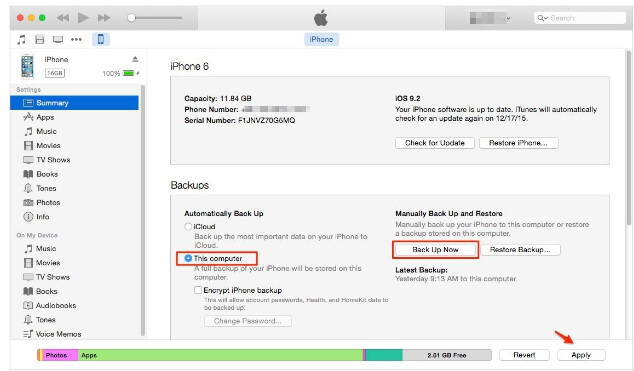 Apple allows you to create the backup using two different methods – iTunes and iCloud. 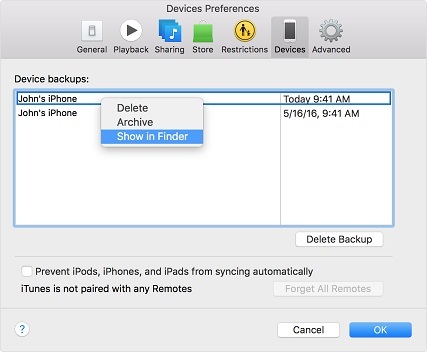 We will introduce 2 ways to back up your iPhone to Mac using iTunes and an iPhone backup tool in this tutorial. With the help of iTunes, you can create a backup and also sync the device. The following steps will be helpful for you to create a backup on Mac. Step 1: Connect the iPhone to the Mac and launch iTunes if it does not start automatically. Step 2: If you notice a message on your device to trust the computer or enter a passcode, do the needful. Step 3: Select your iPhone device once it appears in iTunes interface. Step 4: If you wish to add Health and Activity data to the backup, then you have to choose encryption method. You can select the encrypt the backup option before beginning the backup and ensure to create a password that you can remember. If you do not want to add Health and Activity data, you can continue with the regular backup procedure, which you can do by clicking the Back Up Now button. Step 5: You can check for the backup file in the Preferences window, where you will notice the date, time, and size of the file created. Sync via Wi-Fi is an excellent method to automatically backup your device over Wi-Fi, every night you connect the phone to your local Wi-Fi network. Enable the option to allow iTunes to create the backup automatically to your Mac when you plugged your iPhone into a power source and connected to the local network. You can enter the following in the search bar: /Library/Application Support/MobileSync/Backup/. Alternatively, you can open iTunes, choose Preferences and select Devices. From the window, choose the preferable iPhone backup file, and right-click to select Show in Folder. 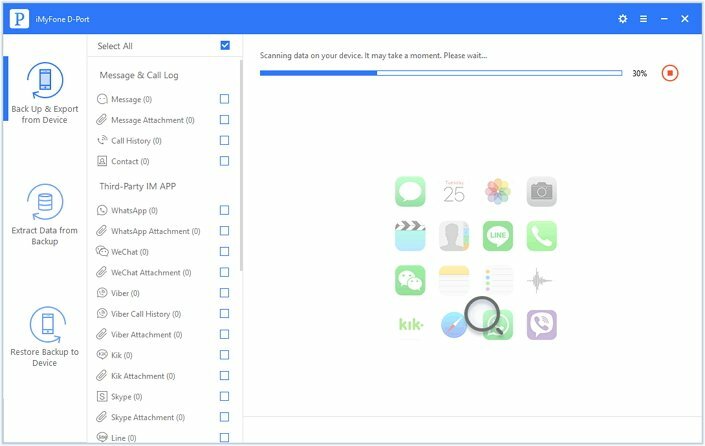 Helps to export 18 types of iPhone files to your computer, for example you can print messages after back up them onto computer. Extract data from unreadable iTunes backup and iCloud backup. 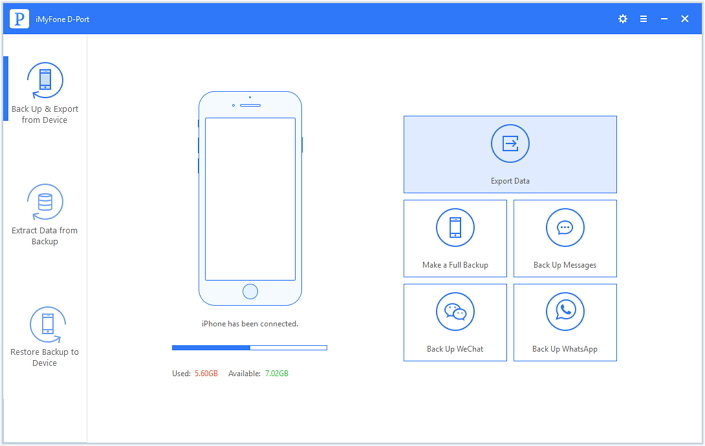 You can make a full backup or a partial backup of your iPhone which can be restored to your device using the pro version of iMyFone D-Port. It is able to show preview of extractable files before backing up. Compatible with common iOS device including the new iPhone 8 running iOS 11 and earlier versions. Step 1: Choose "Back Up & Export from Device"
Download the trial version of the software for Mac from the iMyFone D-Port official website. Install the program and launch the program. 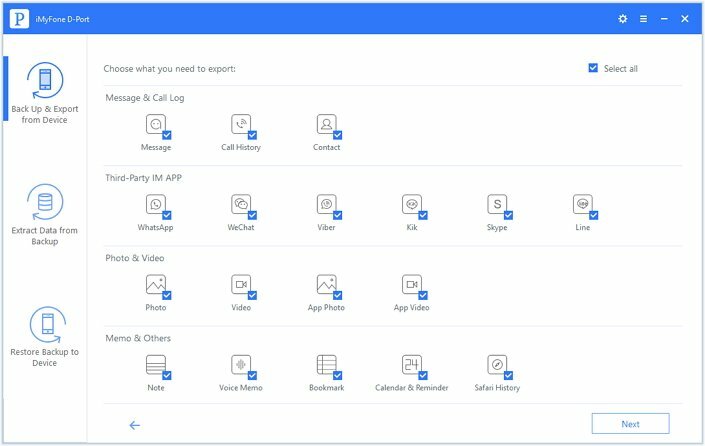 From the primary screen of the software, choose Back Up & Export from Device. 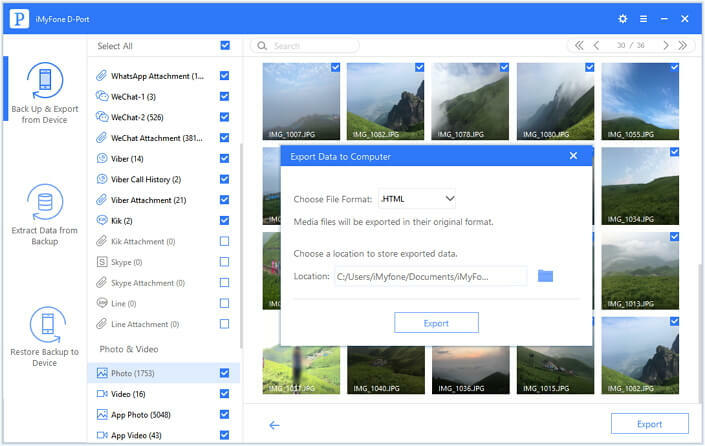 Then connect your device to the computer and click Export Data. On the next window pick the file formats that you wish to create a backup. Press the Next button after making the selection. The program will scan all the data types you have chosen. iMyFone D-Port will reveal the files it finds in the preview screen. Mark the important files that you need, and press the Export button. 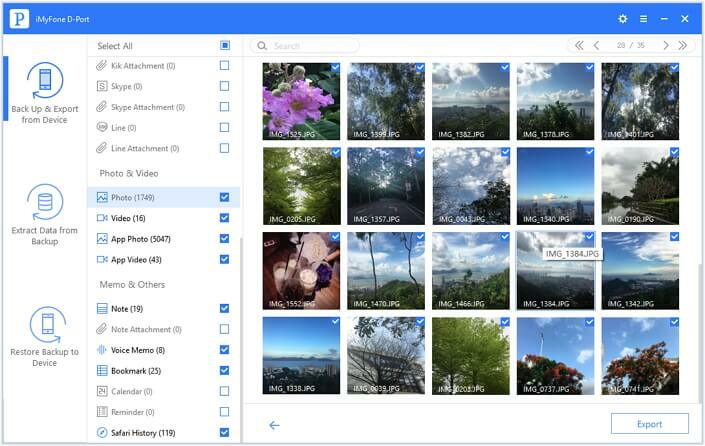 Choose the folder where you like to save the files. Use the Browse button to navigate to a folder on your Mac and wait for the software to finish the backup process. Download the free trial version of iMyFone D-Port to back up the important data on your iPhone to Mac.